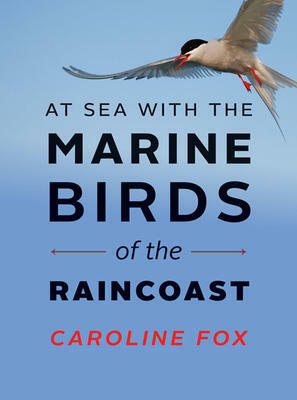 Caroline Fox presents in the guise of an account of her experiences as a field biologist a wonderful memoir of coastal British Columbia. Onboard the sailboat Achiever, her job was to survey birds from Vancouver Island to Haida Gwaii. She really paid attention. No wonder: birds demand attention. Peregrine falcons, bald eagles, puffins (“avian rock stars”), short-tail albatrosses, red-throated loons, surf scoters, and the mystical sandhill crane: all eating, breeding, wintering, and migrating above and within coastal ecosystems. Many feed on the “silver wave” of spawning herring, as they coat every surface with eggs and turn the water white with milt. Elsewhere, eagles scavenge salmon, and ravens and wolves form unlikely companions. She encounters a Heiltuk man collecting gull eggs – linking the histories of birds and coastal peoples. Some birds stay put, but others travel the planet: Arctic terns connect the Coast to both polar regions, and albatrosses span the Pacific. And where there are birds, there may be whales. As Fox explains, we connect to birds in many ways: they provide food, pleasure, and mystery. Astonishing photos enable the reader to appreciate their grace and beauty. But she also reminds us that they exist in their own evolutionary space. So getting close can be a challenge. Hence the hard work of surveying: perching for hours on the bow of the boat, feeling pleasure and excitement (especially when an albatross magically appears), but also fatigue and uneasiness (what did she miss when her attention briefly flagged?) Every sense is enrolled: sight and hearing obviously, but also the scent of soil and cedar after a long spell offshore. Over time her view changed: data points became companions, as summer passed and fall stormed in. Combining her observations with other records, including First Nation midden sites, provides fresh insights, including the reminder that there were once so many more birds. But that was before our space overwhelmed theirs, making them unwilling witnesses to our way of life. Albatrosses ingest toothbrushes and bottle caps, and die. 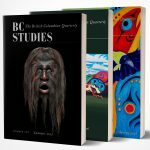 As the boat drew near logging operations, she heard ancient trees felled “with what sounds like bones splintering” – darkening the mood and eliciting pessimism about the Great Bear Rainforest conservation plan (186). Breeding failures and other subtle calamities hint at the emerging impacts of climate change, as species are pushed to the brink in ways still poorly understood. Birds matter: their loss ripples across coastal and marine ecosystems. They also indicate the declining health of their surroundings: canaries in a coastal coal mine. Yet there are hopeful stories: the bald eagle has come back, as has, perhaps, the albatross. Field observations like those by Fox provide a baseline with which to track our impacts on birds and other fauna. The operation was funded by the Raincoast Conservation Foundation: one of several organizations that apply science to conserving coastal ecosystems and their birds, bears, salmon and other species. There is a great need for more such information. This is partly because these waters are remote and rough, and hard to survey. It’s also because almost no one else is doing this work, since the Department of Fisheries and Oceans and Environment Canada are not now fulfilling their scientific mandates. As Fox explains, developers are tempted to take absence of evidence of harm as evidence of absence: no information means no risk, right? But this is no way to decide the future of the Coast, especially amidst increasing industrial activity, including proposals for pipelines and more tanker traffic. Better knowledge of species and habitats is essential. So is a feeling for the life and spirit of the Coast. Fox provides both. Victoria: Rocky Mountain Books, 2016. 272 pp. $25.00 paper.